How many times have you had a student tell you, “I wasn’t sure what to do.”? With further questioning, it wasn’t so much that the student didn’t know WHAT to practice. They didn’t remember HOW something was supposed to sound & didn’t have the confidence in their skills to figure it out on their own. For a song, it’s not a problem to hop over to YouTube & find a version of the song. But, what if that isn’t quite the right solution? You Record 2 is the app that I come back to again & again. It’s also the app I have had the most success in having students use on their own. 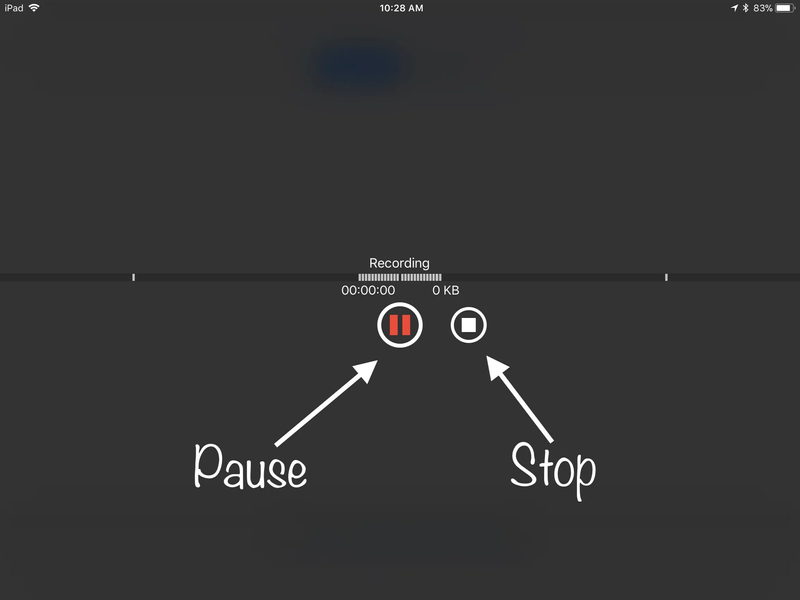 Simply put … it is a audio recording tool with a simple interface & lots of sharing capabilities. Rhythm: For students that struggle with keeping a steady beat & hate metronomes, I get them to count out the beats into the app. During practice, they listen to their voice & clap the rhythm along with it. Listening: A student is struggling with listening to themselves as they play? Record the section of the song & have the student listen to the recording while making notes of what they want to change. Backing Track: Parents won’t upload the CD onto an iPad? Not a problem. Record the duet & send it to the student. Practice Check-in: While I practice, there are times when I will make recordings & use it to check-in on my progress during the week. Knowing exactly what I need to focus on makes this a valuable tool to make every minute of practice count. Ear Training: Regardless of whether students are doing ear training either in lesson or at home, it makes sense to create the resource once & use it multiple times. Intervals, chord progressions & so much more can be recorded ahead of time for students. For students who are unable to read practice pages, they could benefit from an audio copy of what they should practice & how. While I haven’t used this in my studio, I could see a big benefit for these students. Record your audio track using the big red Record button. When you are done recording, hit either the red pause button (if you would like to keep going) or white stop button. Your new recording will show up at the top of the list. Select the Information button (i) & choose how you would like to label it. I choose “Custom” to use the name of the song or whatever information makes it easy to find it later. 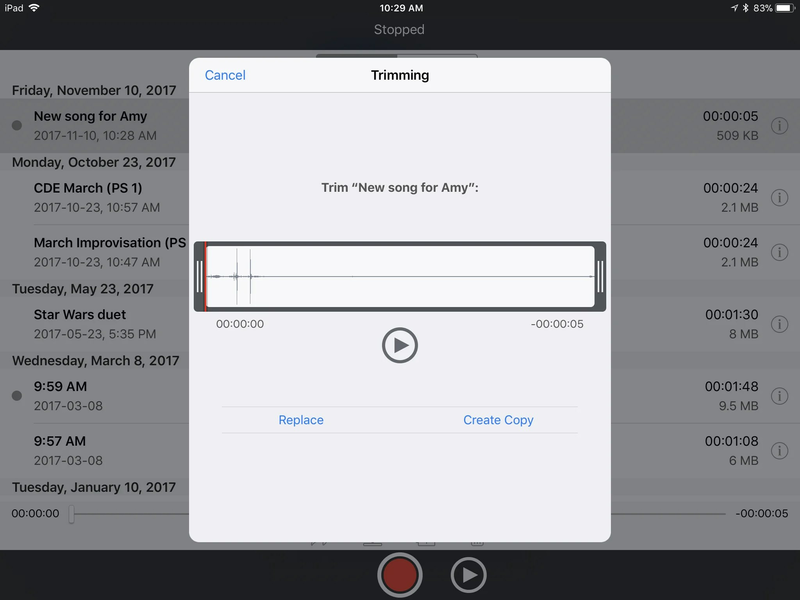 In the Information section, you can choose to “Trim” the recording. For those times when you & your student devolved into giggles because the music fell off the piano right when the recording started … as a completely random example. Select the Send button (right, curved arrow) & send however you would like. Options include AirDrop, text, email, Evernote, Google Drive, & so much more! 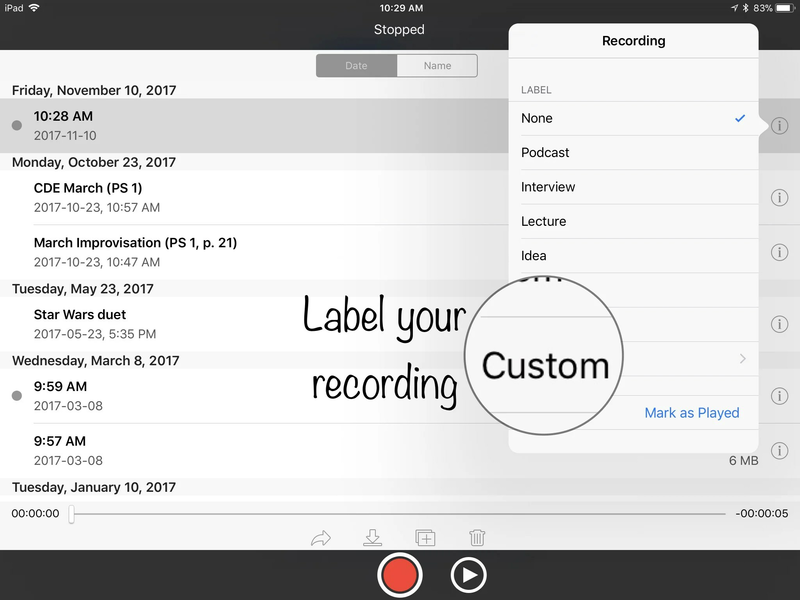 The simple design of You Record has made it a tool that has made a difference for many of my students. Sometimes, we don’t want the visual information for our students … we just want the audio. And, when that’s the case … You Record is a great option for your studio! Let me know what you think of this app below!